Lily Marble Round Table. 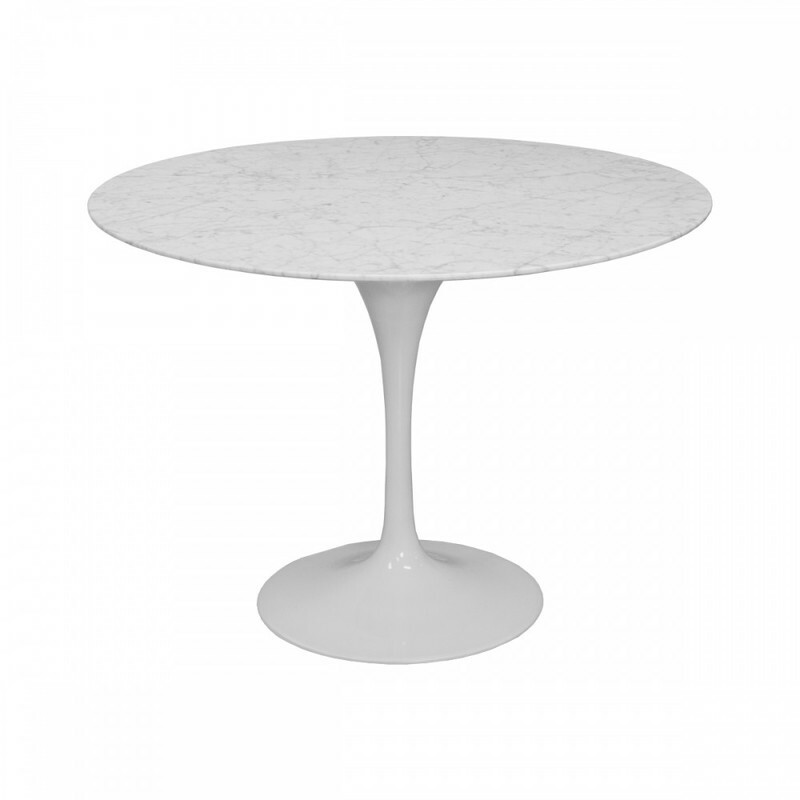 This stunning reproduction table is constructed from molded, cast aluminum base with thick marble top. It is a timeless classic piece. 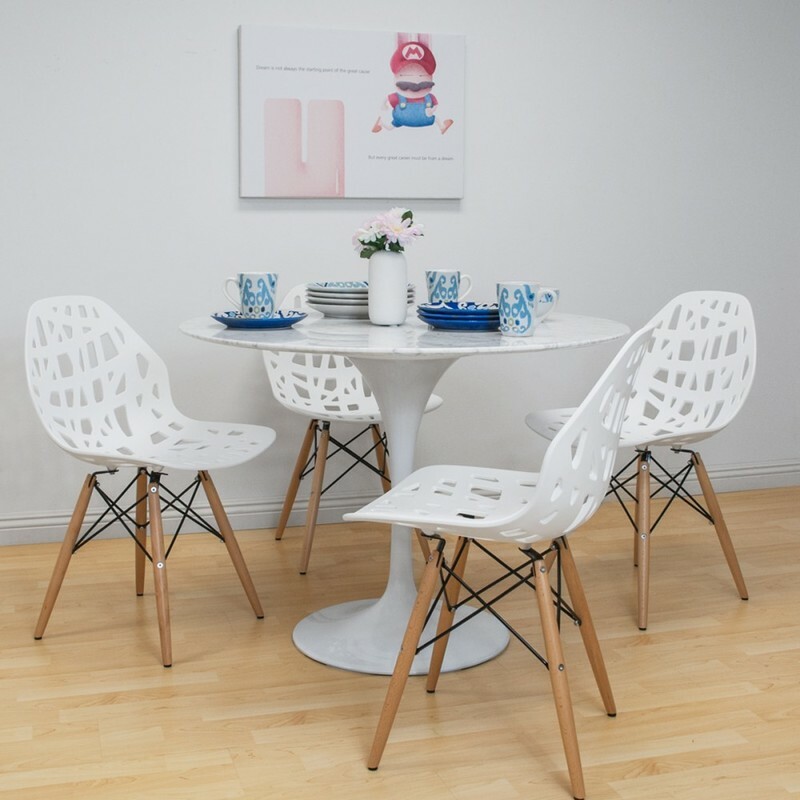 Add a modern elegance with this table. 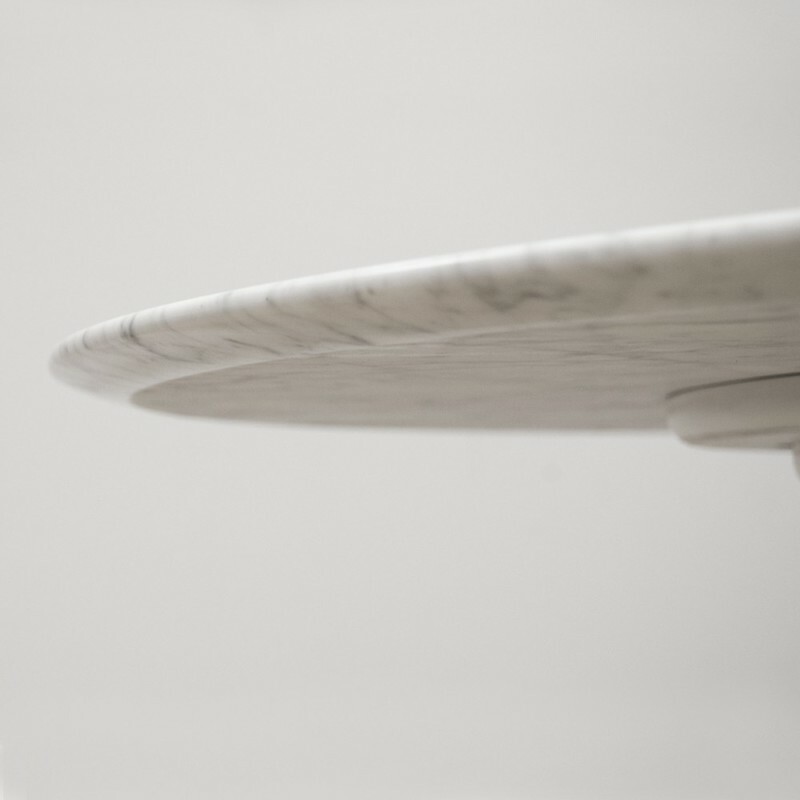 White with gray colorations marble table top with white coated steel base. Each marble top is unique due to natural marble pattern, may not look like the photo shown. Highly recommended to unassemble prior to moving. This product is shipped from our warehouse in City of Industry, CA, USA.